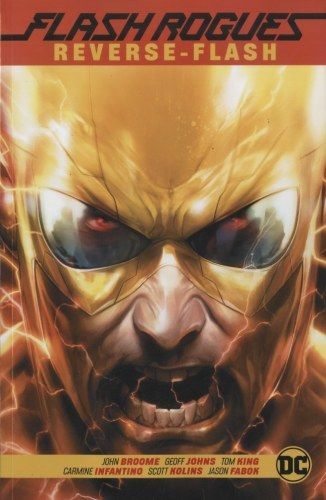 Jump on the Cosmic Treadmill and discover the untold origin of the Reverse-Flash! Who is he, and what is his relationship to Barry Allen? Collects The Flash #139, 197 and 283, The Flash #8 (2012), The Flash: Reverse Flash #23.2, Batman #21 and The Flash #25.